A CANADIAN police officer involved in a crash in which an Irish pedestrian was killed has been cleared of any wrongdoing by a police watchdog. Brendan Keogh (29) passed away at Dublin's Mater Hospital. Mr Keogh, who was originally from the village of Mullinalaghta in Co Longford, was walking along the busy intersection of Highway 99 and Garibaldi Way in Squamish town in Vancouver, British Columbia at around 10.30pm local time on March 13 last year when he was struck by an on-duty officer with the Lower Mainland Integrated Police Dog Services, who was driving an unmarked SUV. Mr Keogh was cared for in Vancouver General Hospital, before being transferred to the Mater Hospital last summer. Sadly, he never regained consciousness and died in August. The British Columbia police oversight agency has now said it will not be recommending charges against the officer. “The evidence collected does not provide grounds to consider any charges against any officer,” Ronald MacDonald, the chief civilian director of the Independent Investigations Office, said. His comments are reported in the Squamish Chief newspaper. The report found that he officer was driving in the slow lane under the speed limit - and went through the intersection on a green light. The officer hit the brakes before the collision, he said. Mr Keogh was sober, and Mr MacDonald suggested that the Irishman's vision may have been affected by the weather conditions. 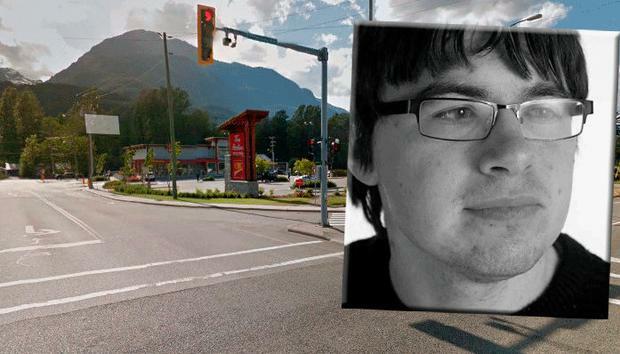 "[He] made a tragic error when he crossed the highway, against the traffic signal, on a dark and rainy night, in dark clothing,” Mr MacDonald said. Independent.ie Newsdesk Gardaí are appealing for the public's assistance in the search for missing man Leonard O'Neill from Waterford. Denise Calnan A man has died following a road crash this afternoon in Co Clare. A man has died following a road crash this afternoon in Co Clare.